Is anyone familiar enough with Monday's ruling by SCOTUS and the recently enacted Pennsylvania sports gaming law to predict if the Sands will be taking wagers on the Mountain Hawks? Does our state law prohibit betting on games contested in Pennsylvania? I'm not a big gambler, but I'm always interested/fascinated when a point spread is determined by the "wise guys". SCOTUS correct on the law insofar as it determined that Federal Govt intervened in an area reserved for State regulation. Not familiar with Penn state law on gambling. While correct, the ruling will not be without serious consequences in all sports . State regulation will be most aimed at increasing revenue not preventing abuses. Pennsylvania Gaming Control Board spokesman Doug Harbach said the board is reviewing the court's opinion and could not provide an estimate for when sports betting might become legal in the state. He said sports wagering was a “key element” of legislation last year that helped plug a state budget hole by allowing gambling in airports, truck stops and on the internet. The bill paved the way, but the gaming board still has to write regulations, including the types of bets that could be placed for each sport. “Theoretically, it's already approved. There's just no regulations in place,” said state Rep. George Dunbar, R-Penn Township, who has advocated for expanded gambling. The Legislature could still pass more rules, Dunbar said, such as a proposal that would require sports betting operations to have a physical location in Pennsylvania. That would prevent existing, legally gray betting web ites from snapping up all the new gaming in the state, Dunbar said. “We're very pleased with the decision of the Supreme Court and think it's been quite a while in the making,” said Troy Stremming, a spokesman for Pinnacle Entertainment, the parent company of Meadows Casino & Racetrack in Washington County. Stremming said the company has been preparing for the decision, but he said Pennsylvania's relatively high tax on gaming revenue — 34 percent — could give the company pause as it considers where to launch sports betting. Penn State officials also said they will watch as Pennsylvania establishes regulations for legal sports betting. “As the largest (football bowl series) intercollegiate athletics program in Pennsylvania, we will be monitoring this issue and its process closely, and will actively engage when necessary to see that the interests of the university and its student-athletes are represented appropriately,” Jeff Nelson, Penn State associate athletic director, said in a statement. Basically, no regulations have been written up yet, nor has federal action been ruled out, so basically all that's certain right now is we've gone from certainty (it's illegal) to chaos (it's not illegal). IMO, keep an eye on what Penn State says and does, because that's what is most likely to drive this. And Pennsylvania wants 30+% tax? The shady guy at the barber shop or in the back room at the bar will work for a lot less than that. Is anyone familiar enough with Monday's ruling by SCOTUS and the recently enacted Pennsylvania sports gaming law to predict if the Sands will be taking wagers on the Mountain Hawks? One thing to remember is that it has been very rare for Vegas to have lines on PL games. 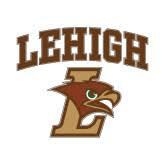 If PA opts to allow sports gambling, you may find it hard to make a Lehigh wager. Quinn (paraphrasing): "NJ will be up soon, Delaware seems pretty close too - here in PA, the wheels grind slowly, we'll be lucky to see it by football season"
Also: Quinn felt like most of this gaming stuff was being still driven by Las Vegas anyway. Feels like there's going to be a long way to go to figure out what shape and form this is going to take in PA, especially as it pertains to college sports. I think for most states there may end up being a difference between allowing bets on NFL games and betting on NCAA games. NJ is further along than PA, and their proposed bill follows what Nevada always did. No betting on the in-state schools. So, no lines posted for Rutgers, Seton Hall, Monmouth, etc. NJ bill also prohibits betting on college games played in NJ, by out of state teams, but does exclude NCAA Tourney from that prohibition. I would expect PA to be similar. You won’t ever find a posted line on a Lehigh hoops game outside of Postseason. Too risky for the books to set lines on those games, since they have such little info. Vegas already limits size of action on a lot of college games. The governing body for most college sports said Thursday it supports "a federal model addressing legalized gambling," and will also suspend its policy of prohibiting states that offer sports betting from hosting championship events following Monday's Supreme Court decision that ruled the 1992 Professional and Amateur Sports Protection Act (PASPA) is unconstitutional and cleared the way for New Jersey and other states to legalize sports betting. The championship event change could have a significant impact on New Jersey college sports. The NCAA said the policy suspension is temporary and is designed to maintain continuity with already-determined future sites, but allowed its Board of Governors "may consider more permanent revisions of the championship host policy."